In Kelly Ann Evers new book, “Hurt No More! A Journey of Healing from Abuse,” she reaches out to abused and battered women with her own compelling and inspirational story. After escaping from her abusive husband, she was unable to enjoy her newfound freedom because of the emotional, physical, and spiritual scars left from years of domestic violence that kept her feeling hopeless, defeated, and depressed. Determined to set herself free from her suffering, she found the courage to search for true happiness and a meaningful life. Evers is the founder of the international organization His Love Heals, Domestic Violence Help. In her book she teaches victims of domestic violence not to give up or settle for anything less than God’s perfect plan for them. She helps them find the strength to put one foot in front of the other by tapping into God’s strength so they can soar above life’s often overwhelming trials. Statistics show that one out of every three women in our nation and one out of every four women in our churches will become victims of domestic violence during their lifetime. It is clear that a domestic violence crisis has taken root in the United States. Many abused women, as well as their friends and family who want to help them, are reaching out in desperation for answers. In “Hurt No More! 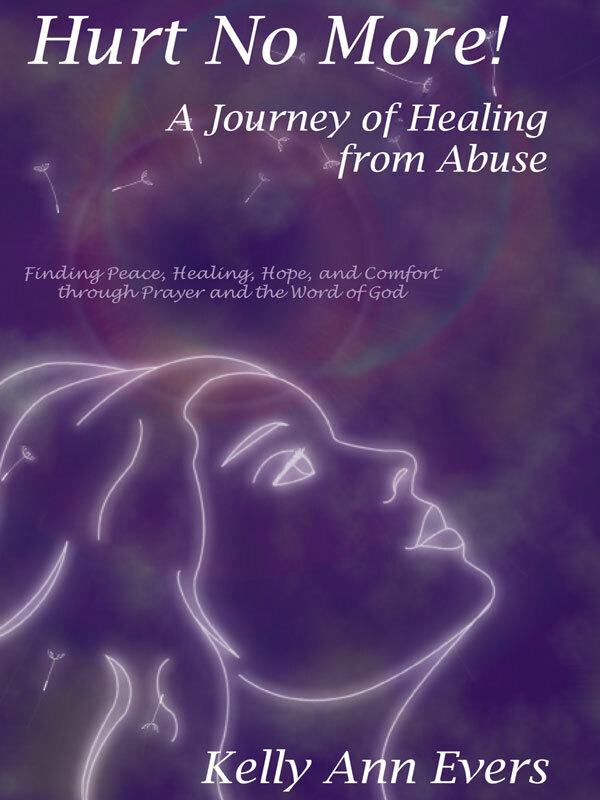 A Journey of Healing from Abuse,” Kelly Ann Evers gives victims of abuse the tools to safely and successfully escape from their abusers, and shows them how to find peace, healing, hope, and comfort through prayer and the Word of God. At a conference earlier this year, Evers stated, “It’s important for victims of abuse to know they are not alone. There is help and resources available to them.” For additional information please visit www.domestic-violence-help.org. You can purchase the book online from Smashwords in multiple eBook formats at http://www.smashwords.com/books/view/102332.